Warrior Wednesday is the Legacy Foundation's way of sharing the stories of people who are living with cystic fibrosis. Each week we'll feature someone who is a fighter, a dreamer and living each day to its fullest while focused on the future. Would you like to share your story? We'll choose one each week - please start by clicking the button below! Kaisley Hope is a very active 4-year-old. Through all of her hospital stays and surgery's she has faced, she never loses her smile. She starts her day with breathing treatments and vest therapy and ends her day the same way. And, that’s not including all the medicines and vitamins throughout her day. Happy belated April birthday, Kaisley! We love that smile! Colton is still very young, just over one year old! He’s so happy all the time and smiles constantly. Finding out he had Cystic Fibrosis took a big tole on my life, but his little smile and happy laughs make it all so much easier! Brennan is a 21-year-old that doesn’t let cystic fibrosis hold him back! Brennan started CrossFit in 2016. In Nov 2016 he suffered a back injury that lead to a diagnosis of Ankylosing Spondylitis in addition to his CF. He is determined not to let CF or AS stop him from his dream of getting to the CrossFit Games one day. He does two hours of treatments daily, attends college, works part time and still manages to workout daily. He never complains and always has a positive outlook on his future. Brennan - you are a fierce warrior! Keep on - we’re cheering you on for the CrossFit Games! Annabelle is a warrior through and through. She is a high school senior who was diagnosed with cystic fibrosis at age 2. Her twin brother Adam does not have CF. She is committed to play lacrosse for a Goucher College in MD Fall 2019! Working hard at lacrosse came easy. Being a goalie is nothing compared to battling CF. We’re excited for Belle’s future, too! Keep working hard at Goucher and make every second count! Kyle is a 22-year-old college student from Minnesota living with cystic fibrosis. 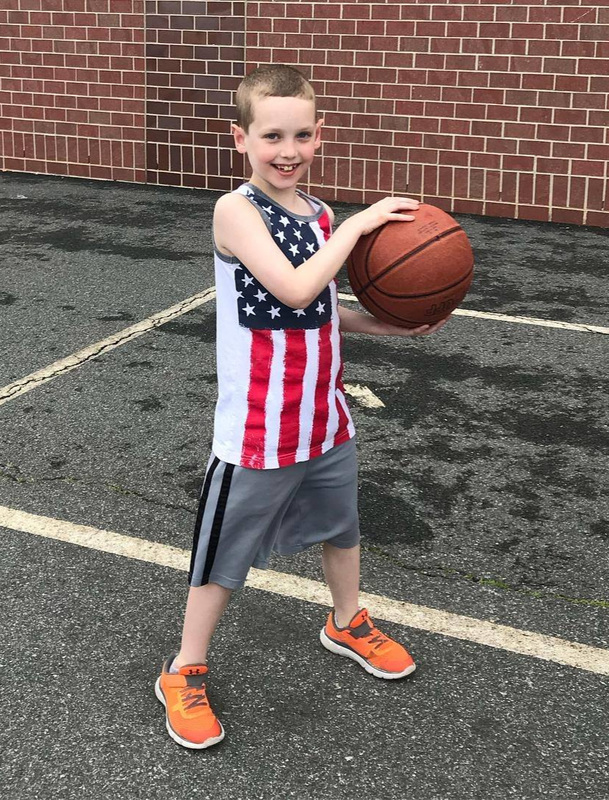 Despite having to do daily treatments, medications and frequent doctor's appointments, Kyle has never let CF slow him down. He is a senior at South Dakota State University, soon to have a bachelor’s degree in Agronomy. He plans to work on his family farm in the future, growing corn and soybeans. Kyle loves hunting, fishing, hockey, football, and anything outdoors. CF has presented Kyle with many obstacles in his life. With every infection or setback, Kyle remains determined and gets back up each time, stronger than before. Kyle makes his friends and family proud each day with his resilience and optimistic attitude! We love you Ky! We love that you’re living your dream, Kyle! Keep fighting! Our daughter Briley was diagnosed with cystic fibrosis when she was a month old. We had no idea we were carriers of the gene. It was very scary to look at your tiny newborn and physically see nothing wrong with her. We did our research and found a wonderful team to help guide us through this new journey with our baby girl! Since that day it’s been breathing treatments and enzymes. Briley has been a warrior. She has the love and support of family and that helps tremendously with a CF diagnosis. My sister actually gave her the nick name bitty when she was born, so that’s what she is known by in our family. Bitty is your typical toddler now. Independent and fearless. Whether it’s exploring outside with her puppy or playing with princesses in her doll house, she keeps us busy. She is a huge animal lover and gives the best hugs. She loves her bacon and chocolate milk and will eat more chili than most adults. She loves to sing and has the cutest little dance moves to go with it. We are blessed to call this sweet girl ours and we pray every day for a cure! With all the medical advancements and fundraising, we have a fighting chance! We have a feeling that you will soon add “fierce” to Bitty’s description. We look forward to watching Briley leave her mark on the world! In spite of her cystic fibrosis, Addison stays very active with cheer leading, gymnastics, Girl Scouts, 4-H, and just being a kid. She loves animals and has a huge heart! Stay active, Addison, and keep being the great kid you are! Camden was diagnosed with cystic fibrosis when he was 2 weeks old. He’s now two years old and never skips a beat! When he was six months old the doctors took him completely off the “failure to thrive” chart because he’s always been above average on the growth charts. Camden’s favorite food is pizza but don’t forget the ranch dressing! During the day you can find Camden playing outside riding his tractor or jumping on the trampoline. We’re living life to the fullest and praying for a CURE everyday! This week’s warrior is optimistic, resilient, driven. When I was diagnosed with CF in the nineties, my blindsided parents were told that I probably wouldn’t live long enough to go to college or to start a family of my own. Today at 23 years old, I have totally rewritten the possibilities of adult life with cystic fibrosis! Not only did I go to college with a full scholarship, but I double majored in mechanical engineering and biology and minored in math and chemistry. Now I am a rocket scientist in the aerospace industry! I love my job and traveling (with my brand new Afflovest, of course). I hope that every child and parent beginning to tackle CF will see that CF can’t stop you from shooting for the moon! We’re fighters and we’re in this together! The sky’s the limit! We feel lucky to have people like you in the world, Mar. Your drive is inspiring! This week’s warrior is resilient, strong, sweet. 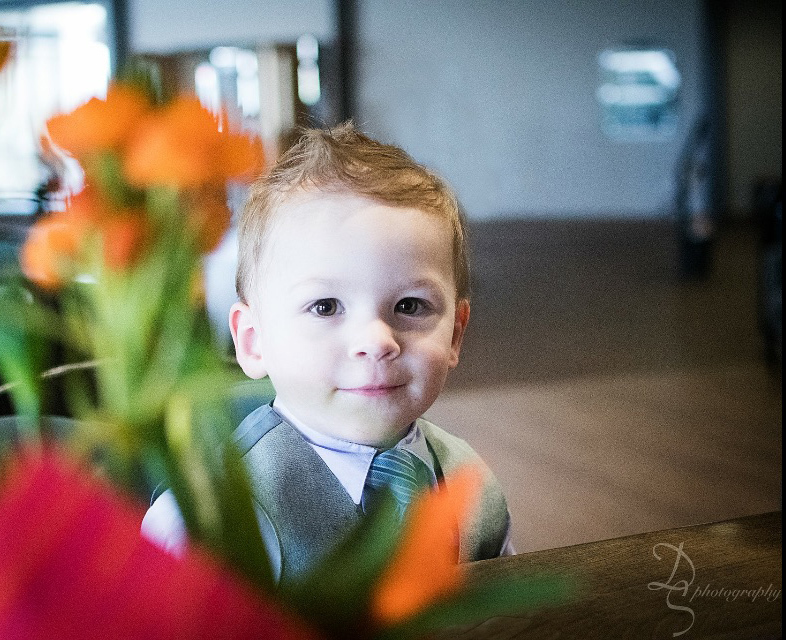 Trent is a resilient, determined, and lovable toddler that it always on the move. 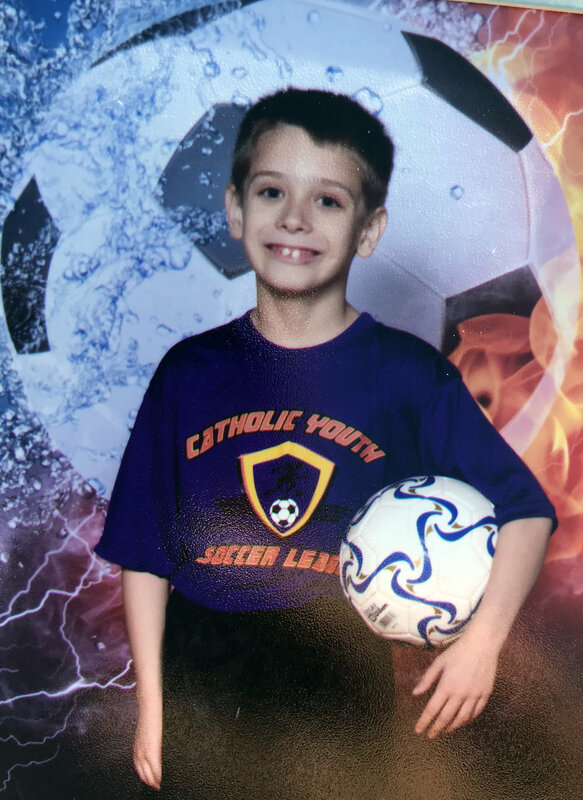 He loves to play T-ball, football, basketball, soccer and loves to run! Trent is 20 months old and was diagnosed with cystic fibrosis at two weeks old. Despite having a class 1 and a class 2 (df508) mutation, Trent has managed to battle through CF without any symptoms or colds thus far! This little guy continues to live life to its fullest with a bright future ahead of him! Play on, Trent! We look forward to seeing the impact you make on the world in the future! This week’s warrior is determined, sweet, driven. One of my best friends and greatest person I know, Emily was diagnosed with cystic fibrosis when she was 9-years-old. Despite the setbacks of the chronic, life-threatening disease, Emily took it head on and hosted her first fundraising event to benefit CF within 6 weeks of her diagnosis. She turned her love for swimming to plan a successful event – called Laps for CF – and asked friends and family to pledge dollar amounts for each lap she would swim. Emily’s original goal was to raise $3,000; however, she ended up raising $60,000 in the first year alone. After two years, Laps for CF became its own non-profit organization, and now, after 14 years, Laps for CF has raised over $2 million to help raise awareness and support in all areas of CF treatment, care, research, and improved quality of life. Emily is one of the hardest working and best people I know, giving back to so many while battling this disease that affects her daily life (though you would never know it). We love that Emily uses her passion to benefit the CF community! Thanks for nominating your friend! This week’s warrior is sweet, brave, strong. Carli Jo is living the first few months of life to her fullest! She is gaining weight, swallows all her enzymes, and is not alone in this journey with CF. Carli Jo is a twin sister to Jake! Both twins have cystic fibrosis and are eagerly waiting till they are old enough to quit being "thumped" (for treatment) and have Colton come to Seattle, Washington with the Legacy Project!! They hope and pray that by 2020 when they are big enough for an Afflovest, Colton will be giving out TWO vests per state! Both Carli Jo and Jake are beautiful happy babies who love to cuddle each other, go for a stroll in the stroller, and rock back and forth in their baby swings. Warriors AND cuddlers! What a great mix! I am currently 27 years old married to my beautiful wife Jessie Watanabe who is 23 weeks pregnant expecting our first child which we did through IVF. Our soon to be son, Kaiden Emery Watanabe, is due April 12th. I am the current business owner of Revibed screen printing and embroidery. I met Colton about a year ago when we connected after he started his Legacy Foundation. We began printing all of the Legacy merch and have followed his charitable journey and his bachelorette and bachelor journey as well. I was diagnosed with cystic fibrosis at birth and have had nine intestinal surgeries as well as being hospitalized for many cf complications. I have been blessed to have a great cf team here in Nevada, and I was and am very athletic. I am excited to be a part of the Legacy Foundation team - we also print for the Cystic Fibrosis Foundation as well as many small CF organizations. I am so excited about all that the Legacy Foundation does to spread awareness and myself, my wife and my business love being a part of every CF persons’ story to be more than what CF tells them they are. Thanks, Kyle, for being a great partner to the Legacy Foundation. We’re excited for you and your wife to start your new journey when Kaiden arrives! When we found out that Carter had cystic fibrosis he was only 3 weeks old. It was a scary diagnosis as we had no idea what the disease was. Even though it was scary we decided to tackle the disease and fight as hard as we could to keep Carter as healthy as possible. Thankfully we were paired with the most amazing CF team of doctors at Children’s in Minneapolis. They have given us nothing but hope and encourage us in the fight. Carter is now an amazing 2.5-year-old boy who is as healthy as can be. He loves all things trucks, cars, trains and dinosaurs and he does not let CF get in his way. At just 1.5 he was doing his daily treatments all by himself. We know that he is going to be such a strong fighter! What a great team of caregivers! Fight on, Carter! Our amazing daughter Kristine is a real warrior. She is 24 years old and living life to the fullest. She has a Bachelor’s degree and a full-time job as an accountant. Kristine is managing to do her treatment before work and before she goes to bed. Right after work she’s going to the gym to work out which also helps to loosen the mucus. Her dream is to travel, buy her own house, find her soulmate and live a happy life as long as cystic fibrosis allows. She has her ups and downs and hospital stays, but overall, she’s doing wonderful things! Kristine is amazing and we love her so much. 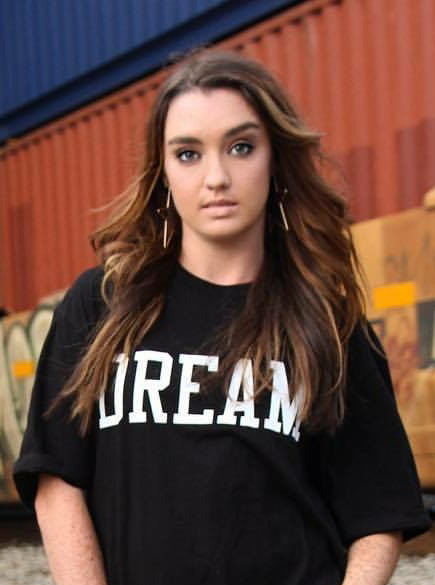 Live those dreams, Kristine! We’re grateful you have such a loving family! Gavin is 8 years old and is in third grade! He loves school-especially reading, writing, and math! He loves playing basketball, learning about animals, and listening to music. He is a very busy, happy, smart, loving, and kind boy who never lets cystic fibrosis define him. 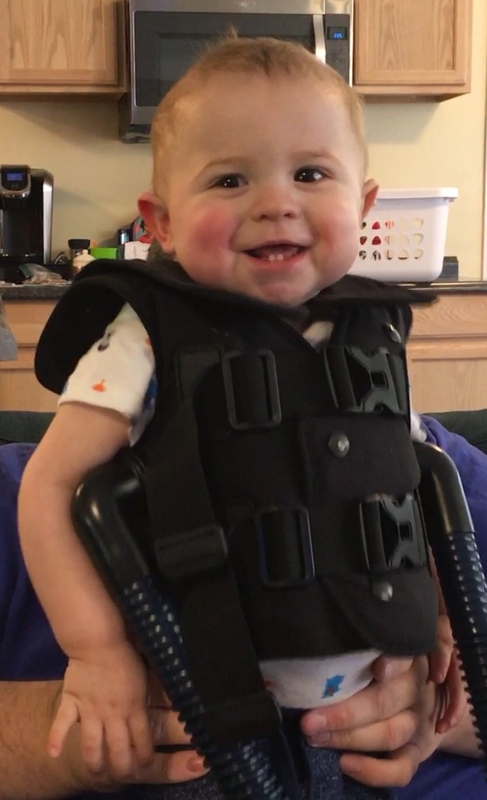 He is always willing to make videos or take pictures to help others with CF overcome tasks from learning how to use their neb/vest or to help give them the courage to learn how to swallow pills. He is currently taking part in his first drug study so he is frequently visiting Boston Children's Hospital. We love that you’re helping others! Keep it up, Gavin! Caroline is just like any other baby; she loves to giggle, play with her family, make new friends, play outside and chew on everything in sight. The only difference between Caroline and other babies is her parents have to take extra care to keep her well and manage her cystic fibrosis. Caroline's parents perform chest physical therapy for 70 minutes daily on Caroline to help break up the mucus CF causes to build up inside of her lungs. She also takes albuterol twice a day, morning and night to open her airways for therapy. She has a very important multivitamin she has to take every day give her extra vitamins CF makes it hard for her to absorb. She also takes enzyme supplements at every meal so her body can digest her food and help her grow strong. Despite CF, Caroline continues to grow, learn, laugh and find joy in her day. Her family has learned about courage, strength and discipline by watching her learn how to take her vitamins, enzymes and endure treatment at such a young age. They are so thankful to be the ones this brave and beautiful little girl calls family. Those eyes! We look forward to seeing pictures of Caroline as she continues to grow up. Joy and happiness to Caroline and her amazing family! I’m Kristina Zaleski. I’m 22 years old and I was diagnosed with CF at birth. They gave me the sweat test at birth because my sister (23) was diagnosed at 6 months after she stopped breathing from it. I have been in and out of the hospital since I was born. The school I went to wasn’t very understanding with my absences so I always had to spend summer and Christmas break in the hospital. I have 4 siblings; 3 sisters and 1 brother! And, only 2 of us have CF. I love hunting, fishing, everything outdoors, hanging out with friends and watching football! Go pack go! Keep fighting, Kristina - we hope this Christmas break you’re home with your family! Since high school, I've overseen a male pageant that raised $68,000 for cystic fibrosis this year alone. At Duke University, I worked closely with the football and women's basketball teams about education on CF and spreading awareness for it. After college, I have continued to coordinate fundraisers for CF in New York City. I work 60 hours a week and make sure to exercise and do my treatments every day. Advocating for people with CF is my mission and helping find a cure will always be my goal. Thanks, Brian, for your commitment to helping others and your focus on a cure! I have been dancing since I was 3 years old! I started dancing competitively when I was 7 years old, and by the time I was 14 years old I was training 30+ hours a week in all styles of dance. In my senior year of high school my dance studio won 2nd place on America’s Got Talent as “The Silhouettes.” I got to speak out about my cystic fibrosis on one episode, about how I don’t let it stop me from pursuing my dreams of being a professional dancer. The feedback I got from that show was one of the most rewarding experiences I’ve ever had, to hear how I inspired others with CF or other illnesses to fight past life’s obstacles was really powerful and humbling. I then went on to UC Santa Barbara where I double majored in film & media studies and communication. I managed to graduate in four years with two degrees while holding multiple jobs and working as the director of a competitive hip hop team on campus. I am now pursuing a professional dance career. I also teach dance to kids ages 1.5-6 years old. Teaching is incredibly rewarding, and I am so grateful for the opportunity to have even the slightest impact on my students lives. I am so passionate about dance, and so determined to make it my full-time career that I absolutely will not let my CF slow me down. It gets hard at times pursuing something so physical, but it just motivates me even more to stay on top of my treatments so I can continue to do what I love. Congratulations on your accomplishments thus far - we look forward to seeing where you go from here! Kinsley is a very strong-willed little girl. Once she has her mind set there’s not much room for changing it! She’s sweet and loves to dance and sing and play hard! She can be a pretty, pretty princess one minute and the next be wrestling it out in the living room with her dad and brother! She’s definitely something special and we know God has great things in store for her life! She’s only 6 but right now she says she just can’t wait to be a mommy one day! Noah is someone who has always inspired me. He is a very talented person and very driven, despite the drawbacks that CF may cause him. He spends a large portion of his time hospitalized at Children's Hospital. They take great care of him there and he is always in amazing hands; however, it doesn't make it any easier for him to cope with the fact that this will be a lifetime event for him because of his illness. This and many other things are what make Noah a warrior to me. I wouldn't know what to do with myself if this was my everyday life. And through it all he is always so kind, funny, and giving. Noah has found his artistic ability to overcome the negativity of his CF. Not only does he use art as a fun hobby, but he creates pieces that imply a much deeper meaning about what he is going through. Many of his pieces are centered around CF and what that looks like in his life. Noah has also found peace and stillness through meditation, which is one of his newer but most favorite hobbies. He is always trying to teach me, but I don't possess the patience to do so, which is why I always find his meditation skills so impressive, even though I may tease him about it sometimes. (; Throughout the years, Noah has become a very hardworking man who has turned his CF struggles into a life full of opportunities. I couldn't be more proud of him! He is the best brother and his fight keeps me going every day. We’d love to see some of your art, Noah! Little Ava DanYelle is now 7 years old! Despite being diagnosed with CF as a newborn, she’s just your typical feisty girl! 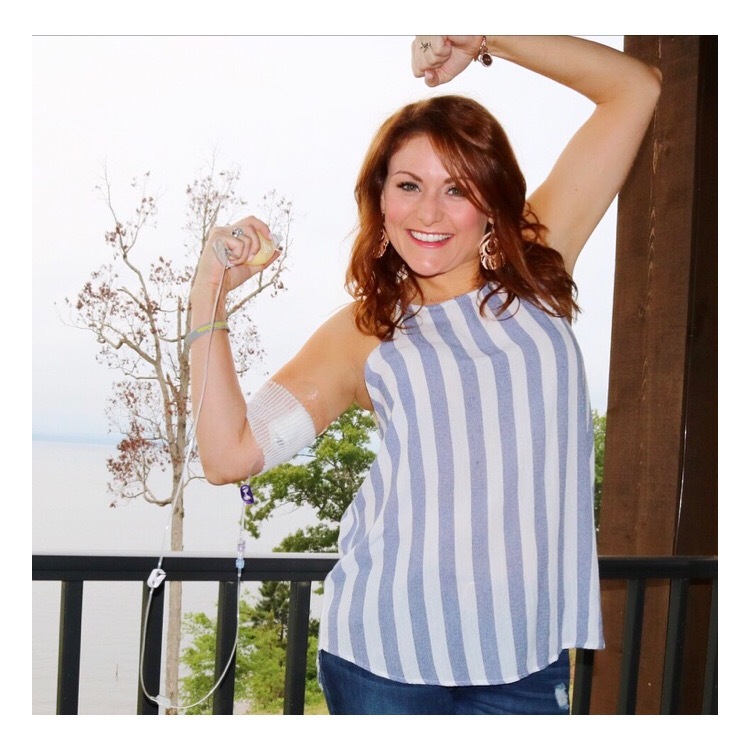 In her 6 years she’s been through multiple surgeries including having a G-tube placed, a port, and sinus surgeries! Just last month her wish was granted and the whole family went to Disney. Ava thrives in Kindergarten, and absolutely loves going to school and playing with other kids. We are so proud of her and all she’s overcome! Happy Birthday month, Ava! You’re very loved!! Being diagnosed with CF at birth made me wonder how long my body would sustain. I had so many dreams in my heart and I am so grateful for the research and developments that have meant longer life spans and a greater quality of life. Those generous donations and developments allowed me to graduate first in my class in college, celebrate 14 years of marriage to my best friend, and 12 years of running a successful business (cruising the roads in a Pink Cadillac puffing a nebulizer). I am eternally grateful, and my greatest passion is to give young people HOPE to chase after the dreams of their heart. No matter how long we are on this earth, our life can be so meaningful and impactful. Thanks for an amazing example, Randi! This is Ignacio, he is 14 months old, and this boy is so resilient and happy! He was diagnosed with CF thru the newborn screening. Neither side of our family knew of anyone that had CF. My husband is from KY and I was raised in Chile we were shocked when we found out our son had this disease. From day one we have made a pledge to live life to the fullest and not let CF define him or how we have fun! Ignacio’s support system is like no other. From a daycare center that has gone to clinic with us to learn more, to grandparents and friends that make sure he lives life to the fullest. As a mom and a believer, I wholeheartedly believe that we serve a God that is bigger than our giants and unknown. We love the full team approach you’re taking to Ignacio’s care and happiness! My name is Gabby, I am 22 years old! I’m currently going to school to hopefully one day be a middle school math teacher. I have worked with kids in after school programs and summer programs for over 3 years. Working with kids and being a good role model for them is my true calling in life even though 3-4 times out of the year I have to take breaks for my 2-week tune ups at Valley Children’s Hospital. I also coach cheer for all ages. This coming year will be my 7th year coaching cheer and will be my 1st year at the high school level! I am so thankful for my newest gene therapy medications to help keep me feeling great to be able to do what I love! Follow that dream, Gabby and leave your legacy! We look forward to your first classroom picture! Peyton Lee is the most amazing and resilient toddler I've ever met. Perhaps I'm biased because he's my son, but many who know him would agree with me. He was born a month early with meconium ileus and ended up losing 40% of his small intestine during surgery at just 4 days old. Complications followed and resulted in a 2-month hospital stay. 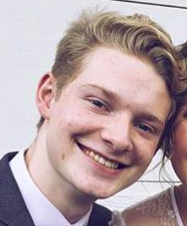 He couldn't eat by mouth for nearly 5 months and as a result, he had a central line and was on TPN and lipids in order to get the nutrition he needed. Fast forward almost 2 years and you'd never know what he's been through by looking at him. He's feisty, hilarious and for the most part, a normal toddler. Every day I look at him and think what a miracle it is for him to be where he's at. 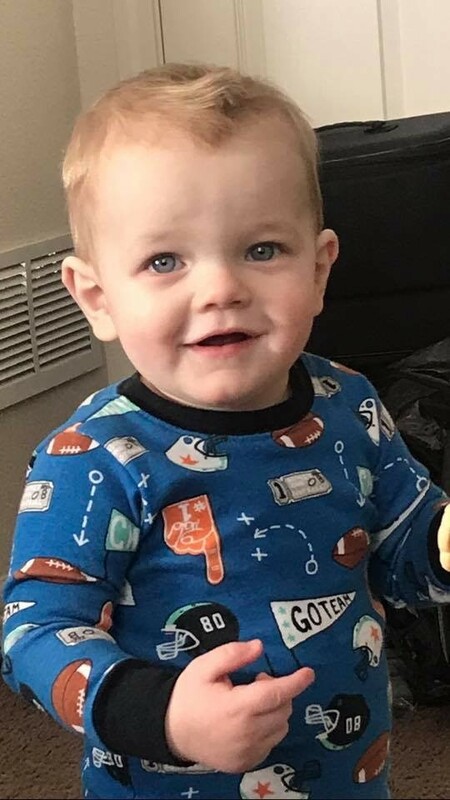 The fight against CF is far from over, but if the last two years are any indication as to how big of a fighter Peyton is, he is going to have an amazing and long life ahead of him. We look forward to seeing what Peyton does with that big personality! Isabelle (12) and her sister, Aria (6) both are living with cystic fibrosis. They do not let CF hold them back... between school and treatments two times a day, they are both dancers. Isabelle dances 15 hours a week and Aria 6 hours a week, with their favorites being ballet, jazz, and ballroom. They are both heading to a National Competition on July 1st to learn, grow, perform and compete. Balancing their medicine, treatments, school work, and dance is not always easy, but they do it with such grace and always have a smile. Congrats, Isabelle & Aria! We hope the competition was as fun and challenging as you hoped! I am 16 years old and I was diagnosed with Cystic Fibrosis at 13 months old. I love cheerleading, tumbling, and golf. Living with C.F. is challenging and time-consuming, but I try to live like a normal teenager. Cystic Fibrosis has been a great conversation starter and relationship builder. This disease has made my family, friends and I closer through what we have been dealt. I make every day count living with C.F. Cystic Fibrosis does not hold me back from anything! We love your attitude, Hannah! Cheer on! Advocate. Cystic fibrosis. Hero. Leader. Relentless. Hopeful. All of these words have one thing in common; they can be used to describe Jerry Cahill, a man who lives and succeeds in spite of his medical limitations. At 62 years old, Jerry Cahill has overcome remarkable odds and has become living, breathing proof that cystic fibrosis patients can have a normal life through firm commitment to exercise and medical compliance. Currently a CF Ambassador at the Boomer Esiason Foundation, Cahill leads its scholarship and grants division and is the founder of Team Boomer – the athletic arm of BEF dedicated to encouraging exercise among CF patients while simultaneously raising money for scholarships. He has also started the program You Cannot Fail, which includes apparel, a website, an autobiographical coffee table book, and two children’s books. In 2014, Jerry created Bike 2 Breathe, a 500-mile Bike ride, to raise awareness for CF and the importance of exercise. This program is currently in its fifth year. He also records educational podcasts and videos and encourages other people with CF to share their stories on Club CF. On top of all of this, Jerry invited a camera crew to follow him over the past five years, giving a unique insight into his life as a cystic fibrosis patient, pole vault coach, and advocate. The documentary Up for Air followed his journey through training, treatments, and a double lung transplant – showing a new phase of living with CF. 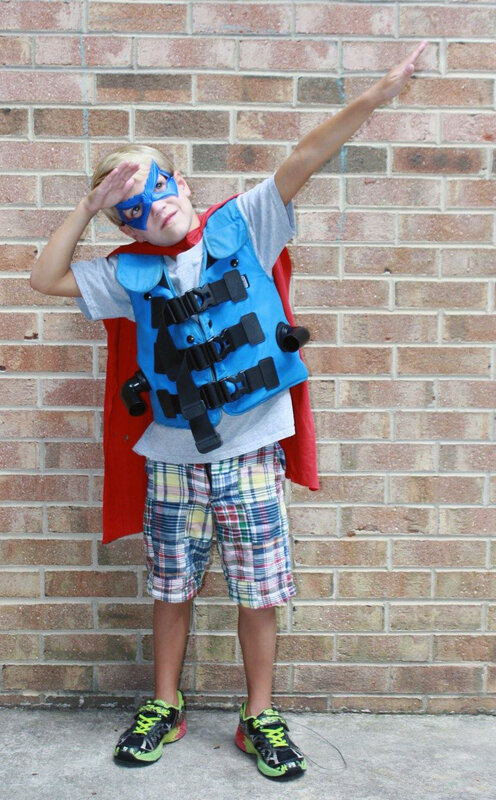 Drake is an 8-year-old boy who, despite his condition, is completely full of life. He never lets CF slow him down and is one of the smartest 8 years I know, if he doesn’t know the answer to something you better believe he will have it figured out by the next day. He loves baseball and golf and even has a golf tournament every year to raise money for Cystic Fibrosis research, which is called Drives Fore Drake. He is spunky and caring. He constantly shows CF that he is the boss and won’t let it take control over him. He prays for a cure for CF every night and knows one day there will be one. We’re with you on that, Drake! Carrigan is a beautiful, bubbly toddler despite all of the obstacles that she faces on a daily basis. She loves going on trips with her family. Her favorite places are Disney World and the beach. Carrigan is also very active and participates in gymnastics. She may have CF, but CF doesn’t have her! My first son Camden is almost 3 years old and was diagnosed in-utero. We didn’t know we were carriers, but it came up in blood work, the doctor suggested an amniocentesis, and we received the diagnosis. Camden spent 10 days in the NICU but came home ready to take on life. He has had his share of roadblocks already like spending his first Christmas on IVs in the hospital, three bronchoscopies last summer, and another round of IVs. You would think that would stop him, but no. He is full of life and energy and takes on his CF tasks each and every day. My husband is a PGA professional and I’m a high school softball coach, so an active lifestyle is exactly what Camden was born into and he loves it! He loves to play in the sound and go to the beach, he loves to dance and sing. Overall, he’s full of life! We found out we were pregnant with baby number two just last June. We decided to have another amniocentesis done and baby boy number two, Rory, was diagnosed with CF as well. He spent his first nine days in the NICU but came home to the routine of breathing treatments and enzymes... now we just had two of EVERYTHING! The past almost four months have been a learning curve of managing everything but it’s the two boys we’re learning from rather than the other way around. Big brother is always looking out little brother. Rory falls asleep during Camden’s vest, (maybe it’s the hum) Camden understands that breathing treatments are part of Rory’s day and they’re growing and amazing us each and every day. The future is bright for those with CF and I’m hopeful for the brotherhood and friendship that these two are creating. After finding out about Emersyn’s diagnosis of CF, we were so terrified about what this new life would look like for not only her, but her big brother, her parents, grandparents, and everyone else involved in her precious life. As of now, she is given a few medical treatments a day and is a champ at them! So far, everything seems to be trending in the right direction for her. We hope to keep her that way as long as possible! In just her short two months of life so far, she has brought so much joy to everyone she meets. We can’t wait to watch her grow into an amazing, strong, sweet, caring little CF warrior we know she will be! Katie is a 17-year-old Senior at Gardendale High School. She has been a cheerleader for the last 6 years and believes exercise is a key to staying healthy with CF. She’s had numerous sinus surgeries but has only been hospitalized three times for CF related issues. She’s super responsible for taking care of her chest physical therapy, her medications, and breathing treatments. She NEVER complains about her cheer workouts and always has a super awesome outlook on life. My little warrior is 2.5 years old and is learning all sorts of things. He loves to help his mommy out with everyday chores and takes his medications like a champ. He loves being outside playing on the playground and meeting new friends. We get to educate others about CF wherever we go. Traveling to clinic and study visits are hard but truly eye opening to the world of CF. We don’t let CF define him or who he is. Help us cheer on Camden! My 8-year-old has cystic fibrosis and he is full of life. I think his having cystic fibrosis has helped him become a great person and have a great understanding of life and the value of life. Jimmy is very determined. For example, when he had to get an emergency appendectomy the doctor told him he could go home if he could stand up and walk down the hall to the window. Sure-enough he did it by the end of the day. As a mom I worried about holding him back and I have fought my battle with that and have learned to let him be a normal boy who just happens to have cystic fibrosis. Jimmy rarely complains about doing treatment time. He is a brave young boy with the determination to live a happy, full life. He is active in sports such as soccer and basketball and just loves his younger sister and dog sky. Sebastian is just about to have his 3rd birthday and has faced more in his short 3 years of life than either his father nor I have been through in nearly 30 years. Sebastian's CF has a strong sinus component. He had his first sinus surgery last year and is already facing another. Despite his cystic fibrosis related sinus disease, Sebastian is the happiest, silliest, sweetest boy. When he isn't doing therapy, he loves helping take care of his little sister, Meredith, playing outside, and playing with his cars. He is a joy. He is hilarious. He is simply the best! “Best boy in the world!” My husband and I say this about Shane every day, sometimes multiple times a day. Like all kids with CF, Shane has to endure so much more than most people do on a daily basis. Our older daughters, who do not have CF, frequently tell us that they think Shane is special because they wouldn’t be able to do what he does every day without crying and fighting. Shane is a normal, active (extremely active) 21-month-old but he is very much aware of his twice daily nebulizer and chest PT sessions. He knows the routine and when he sees the inhaler and nebulizer come out he runs to get his blanket ‘blanky’ and cozies up in his Mickey chair. Our favorite thing in the world that Shane does is the ‘kissing circle’. When myself, my husband and two daughters are in the same room together (which is a rarity with our busy schedules) Shane recognizes this and he pulls us all together in a circle and goes around and give us all kisses. He is pure joy to be around and we know he will do big things in the future! Steeley Jo is 3 years old and she is a wild and crazy girl always on the go!! She helps her 2 big sisters with their show steers and she loves helping daddy on the farm! She is such a blessing to all who know her! Help us cheer on Steeley Jo! 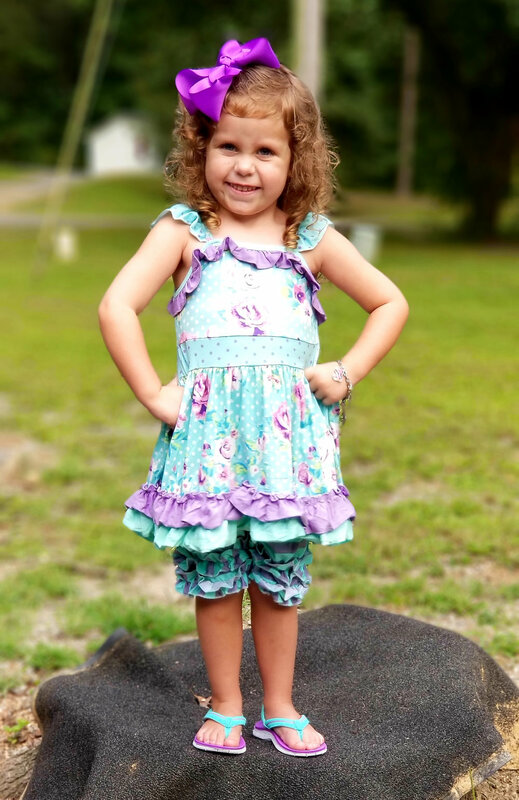 Breelyn is a spunky 4-year-old who is not defined by CF! Breelyn was diagnosed from her newborn screen, but our family did not have any idea that we were carriers. Ever since Breelyn's diagnosis we have been doing our best to stay ahead of the game and raise as much money as we can to help fund a cure! So far, Breelyn is always willing to do treatments and take medicine so that she can be as strong and big as her older sister Brodye. The most special thing about Breelyn is that she doesn't let CF stand in her way from doing anything she wants to do! 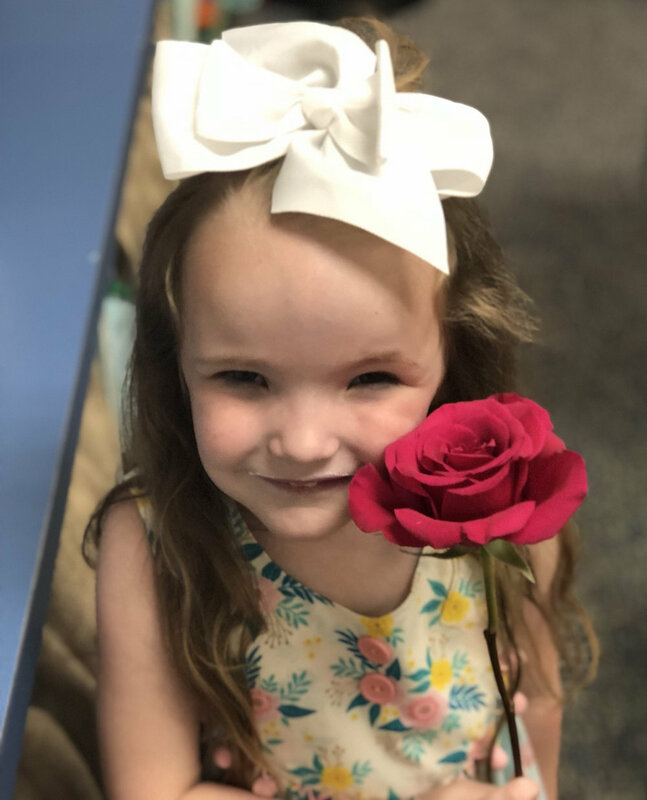 We love that rose, Breelyn! Brianna is a 16-year-old high school student. She loves her family and spending time with her friends. Brianna aspires to be a pediatrician to help child with special needs. She has 3 siblings, a brother, Josh, who also has Cystic Fibrosis and is 17 years old, her twin sister, and 12-year-old sister. They are both loved by family and friends. Other things she loves to do is camping, attending church, and going to the mall with friends. In order to do all of these things, she has to keep up with her every day treatment and medication. But, she doesn’t let Cystic Fibrosis stand in her way! Happy 4th of July, Brianna! Riley is a fun-loving 5-year-old boy. He loves any sport, basketball, baseball, soccer or wrestling. But mostly his favorite is football! He enjoys playing with his 8-year-old sister, Natalie, and he makes us all laugh. His favorite colors are purple and yellow. Riley also has a lung disease called, cystic fibrosis. Every year since he was born, our family and friends join in the Annual Great Strides walk through the Cystic Fibrosis Foundation, we design t-shirts for our team, Riley’s Racers! We have decided to let Riley design them this year. If you know him, they HAVE to have purple and yellow. He tells us, someday he is going to play for the Minnesota Vikings, and why wouldn’t we want to tackle this disease? Riley will go to school full time this fall, he does enjoy learning and playing with his friends. He has a sly sense of humor and a loving heart. Riley lives the life of any other little boy, with a few added-on obligations. We remind him often to be diligent about hand-washing during cold and flu season. We help him take charge of his daily treatments. He does his inhaled treatments and oral medications every morning and every night. Help us cheer on this week’s warrior: Riley! Amanda is a 25-year-old woman living with Cystic Fibrosis. Despite constant treatments, infections, and days of not feeling well, Amanda is always ready for the next adventure. Amanda has a smile that can light up a room and laughter that is so contagious from the moment you hear it. Amanda has not only excelled as a patient living with CF but she now spends her days working as a nurse in an area hospital. This opportunity is her way of giving back and treating patients in a manner in which Amanda wanted to be treated when she was in similar situations. Amanda knows all too well the stress and anxiety of being a patient and this inspired her to go into the medical field. Amanda uses her joy for life and a positive attitude to help others at a time they most need it. She is knowledgeable about so much more than just the nursing aspect of her job. Amanda’s infectious spirit and never give up attitude make her a CF warrior. She lives each day to the fullest and works to bring joy to others at all times. She is the true definition of selfless and caring. Conlee is a fun-loving 3-year-old boy who happens to have Cystic Fibrosis. Conlee was diagnosed with CF when he was just 13 days old and has never once let it slow him down. He has hit some road bumps along the way already, but he has never faced a challenge that he hasn't conquered with grace and courage. In his free time, he enjoys playing with his sister (Bexlee), running around, and driving around in his Power Wheels jeep. Conlee has struggled with his weight pretty much since day one and last November, when he had a feeding tube placed. He has taken on so much of his care already at just 3 years of age. He can do just about anything related to his tube and his treatments. It's very impressive how he just watches us do things and picks up on it so quickly. He never complains about doing his therapies, taking his medication, or doing his many daily tube feeds. He's just very mature and knows that these things have to be done before he can play. I honestly can't even comprehend how amazing he truly is. Anyone who meets Conlee has a permanent smile on their face. He just makes everyone feel so happy when they're around him. I think above all, I just admire his love of life and his excitement about everything! He is my hero. Hi my name is Jovi and I have CF. I love swimming, skateboarding, roller blading! I also like watching old TV shows and Garfield. When I am in school, I am on the volleyball team and in the school musicals. I have lots of dreams; I want to become an author, a forensic scientist for the FBI, a songwriter, a marine biologist, a veterinarian, and be on Zumbo's Just Desserts TV show. If I had to describe myself in 3 words I would say I'm silly, strong, and feisty. ;) I want to do a lot in my life and I'm not going to let CF stop me. There are positive parts of CF, like my Psychologist Dr. Bree, and I got to go to Hawaii on a Make A Wish trip! To the other kids with CF, I say don't let CF get you down, keep fighting!